MBS: Riding Roughshod Or Playing Risky Game Of Bluff Poker? A stalemate in efforts to determine what happened to Saudi journalist Jamal Khashoggi is threatening to escalate into a crisis that could usher in a new era in relations between the United States and some of its closest Arab allies as well as in the region’s energy politics. In response to US President Donald J. Trump’s threat of “severe punishment” if Saudi Arabia is proven to have been responsible for Mr. Khashoggi’s disappearance while visiting the kingdom’s consulate in Istanbul, Saudi Arabia is threatening to potentially upset the region’s energy and security architecture. The official was referring to the kingdom’s insistence that it was not responsible for Mr. Khashoggi’s disappearance and assertion that it is confronting a conspiracy by Qatar and/or Turkey and the Muslim Brotherhood. 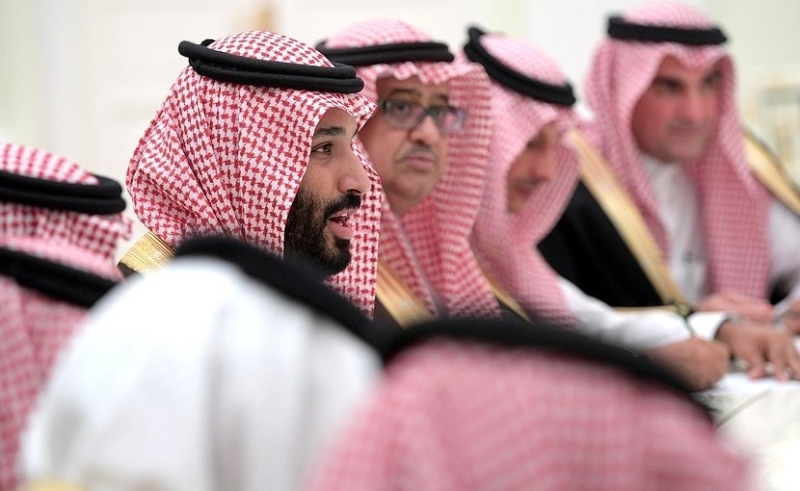 Turki Aldhakhil, a close associate of Saudi Crown Prince Mohammed bin Salman and general manager of the kingdom’s state-controlled Al Arabiya news network, claimed in an online article that Saudi leaders were discussing 30 ways of responding to possible US sanctions. They allegedly included allowing oil prices to rise up to US$ 200 per barrel, which according to Mr. Aldhakhil, would lead to “the death” of the US economy, pricing Saudi oil in Chinese yuan instead of dollars, an end to intelligence sharing, and a military alliance with Russia that would involve a Russian military base in the kingdom. It remains unclear whether Mr. Aldhakhil was reflecting serious discussions among secretive Saudi leaders or whether his article was intended either as a scare tactic or a trial balloon. Mr. Aldakhil’s claim that a Saudi response to Western sanctions could entail a reconciliation with the kingdom’s arch enemy, Iran, would make his assertion seem more like geopolitical and economic bluff. Meanwhile, in what appeared to be a coordinated response aimed at demonstrating that Saudi Arabia was not isolated, Oman, Bahrain, Jordan, Palestine, Lebanon, the United Arab Emirates and Egypt rushed to express solidarity with the kingdom. Like Turkey, Bahrain, Egypt and the UAE have a track record of suppressing independent journalism and freedom of the press. Ironically, Turkey may be the kingdom’s best friend in the Khashoggi crisis if its claims to have incontrovertible proof of what happened in the consulate prove to be true. Turkey has so far refrained from making that evidence public, giving Saudi Arabia the opportunity to come up with a credible explanation. Turkish president Recep Tayyip “Erdogan wants to give Saudis an exit out of #Khashoggi case, hoping the Saudi king/crown prince will blame ‘rogue elements’ for the alleged murder, then throwing someone important under the bus. This would let Erdogan walk away looking good & prevent rupture in Turkey-Saudi ties,” tweeted Turkey scholar Soner Cagaptay. The Saudi news agency report and Mr. Aldakhil’s article suggest that Prince Mohammed believes that Saudi Arabia either retains the clout to impose its will on much of the international community or believes that it rather than its Western critics would emerge on top from any bruising confrontation. Prince Mohammed no doubt is reinforced in his belief by Mr. Trump’s reluctance to include an arms embargo in his concept of severe punishment. He may also feel that Western support for the Saudi-UAE-led war in Yemen and reluctance to credibly take the kingdom to task for its conduct of the war was an indication that he was free to do as he pleased. Prince Mohammed may have been further strengthened in his belief by the initial course of events 28 years ago, the last time that the fate of a journalist was at the centre of a crisis between a Western power and an Arab country. At the time, British Prime Minister Margaret Thatcher, similar to Mr. Trump’s inclination, refused to impose economic sanctions after Iraqi president Saddam Hussein ordered the arrest, torture and execution of Farhad Barzoft, a young London-based Iranian journalist who reported for The Observer. The comparison between the Khashoggi crisis and the case of Mr. Barzoft goes beyond Western governments’ reluctance to jeopardize commercial relationships. Mr Barzoft was executed months before Mr. Hussein’s military invaded Kuwait prompting US-led military action that forced his troops to withdraw from the Gulf state, crippling economic sanctions, and ultimately the 2003 Gulf War that, no matter how ill-advised, led to the Iraqi leader’s downfall and ultimate execution. Prince Mohammed’s ill-fated military intervention in Yemen, of which Mr. Khashoggi was critical in one of his last Washington Post columns, has tarnished the kingdom’s international prestige and sparked calls in the US Congress and European parliaments for an embargo on arms sales that have gained momentum with the disappearance of the Saudi journalist. To be sure Saudi Arabia enjoys greater leverage than Iraq did in 1990. By the same token, 2018 is not 1973, the first and only time the kingdom ever wielded oil as a weapon against the United States. At the time, the US was dependent on Middle Eastern oil, today it is one of, if not the world’s largest producer. More fundamentally, Prince Mohammed appears to show some of the traits Mr. Hussein put on display, including a seeming lack of understanding of the limits of power and best ways to wield it, a tendency towards impetuousness, a willingness to take risks and gamble without having a credible exit strategy, a refusal to tolerate any form of criticism, and a streak of ruthlessness. “We’re discovering what this ‘new king’ is all about, and it’s getting worrisome. The dark side is getting darker,” said David Ottaway, a journalist and scholar who has covered Saudi Arabia for decades. Mr. Hussein was public and transparent about Mr. Barzoft’s fate even if his assertion that the journalist was a spy lacked credibility and the journalist’s confession and trial were a mockery of justice. Prince Mohammed flatly denies any involvement in the disappearance of Mr. Khashoggi and appears to believe that he can bully himself out of the crisis in the absence of any evidence that the journalist left the kingdom’s Istanbul consulate of his own volition. Mr. Hussein miscalculated with his invasion of Kuwait shortly after getting away with the killing of Mr. Barzoft. Prince Mohammed too may well have miscalculated if the kingdom is proven to be responsible for Mr. Khashoggi’s disappearance. Mr. Hussein’s reputation and international goodwill was irreparably damaged by his execution of Mr. Barzoft and invasion of Kuwait. Mr. Khashoggi’s disappearance has dealt a body blow to Saudi Arabia’s prestige irrespective of whether the journalist emerges from the current crisis alive or dead. King Salman and the kingdom appear for now to be rallying the wagons around the crown prince. At the same time, the king has stepped into the fray publicly for the first time by phoning Turkish president Erdogan to reaffirm Saudi cooperation with an investigation into Mr. Khashoggi’s fate. It remains unclear whether that phone call will pave the way for Turkish investigators to enter the Istanbul consulate as well as the Saudi consul general’s home and whether they will be allowed to carry out forensics. The longer the investigation into Mr. Khashoggi’s fate stalls, the more Saudi Arabia will come under pressure to put forth a credible explanation and the harder Western leaders will be pressed by public opinion and lawmakers to take credible action if Saudi Arabia is proven to be responsible. A Saudi decision to act on its threats to rejigger its security arrangements and energy policy, even if overstated by Mr. Aldhakhil, in response to steps by Western nations to penalize the kingdom, could prove to have not only far-reaching international consequences but, in the final analysis, also equally momentous domestic ones. This report was initially published on www.eurasiareview.com.